Learn how to strategically execute public relations assignments! In Using Public Relations Strategies to Promote Your Nonprofit Organization, you will explore an easy-to-follow explanation on why nonprofit groups must take a more business-like approach in their communications. You will also discover instructions on how to make newsletters, annual reports, speaker's bureaus, and board selection easy yet effective. As a marketing, public relations or development professional, you will gain effective public relations tools that are within your established budget parameters. 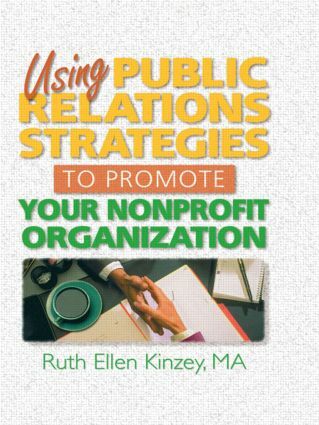 Using Public Relations Strategies to Promote Your Nonprofit Organization explains why you must take a more business like approach to public relations write nonprofit groups and assists the novice public relations specialist with executing basic PR tasks that are pertinent to an organization's profits. You will gain step-by-step guidance on steering your nonprofit organization to financial success.